Construction of pressurised heavy water reactors. These reactors use natural Uranium. Spent fuel from these reactors is reprocessed to obtain Plutonium. Construction of fast breeder reactors fuelled by Plutonium produced in stage-I. 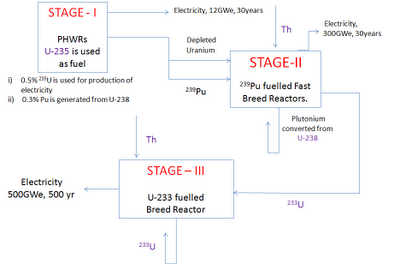 These reactors would also breed U-233 from Thorium. 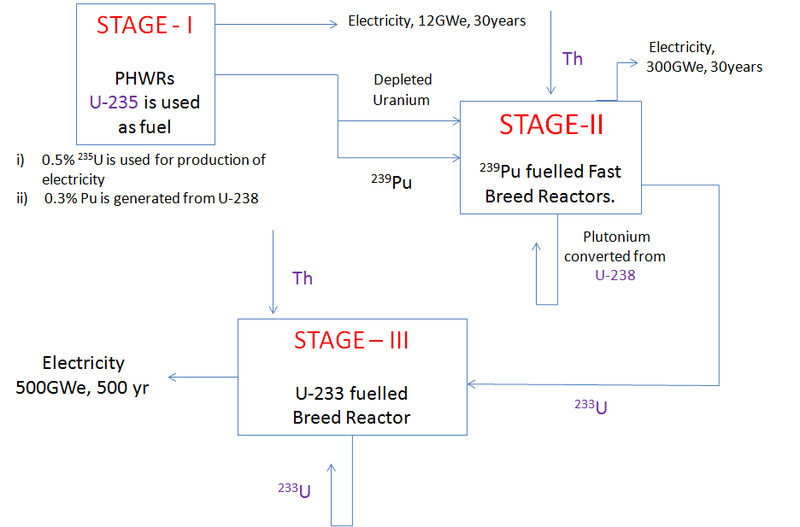 Construction of power reactors using U-233/Thorium as fuel.